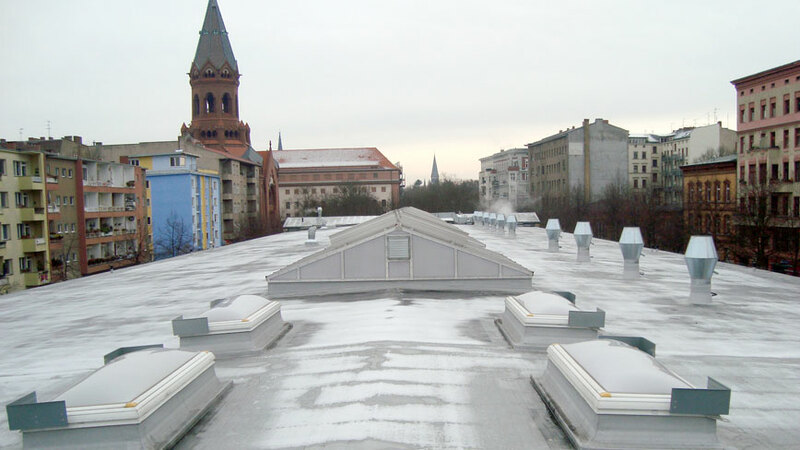 ParaFlex FD is a UV stable liquid applied waterproofing system suitable for many roof types: flat, sloping roof and complex roof shapes such as cupolas and barrel roofs. ParaFlex FD also waterproofs vertical surfaces. 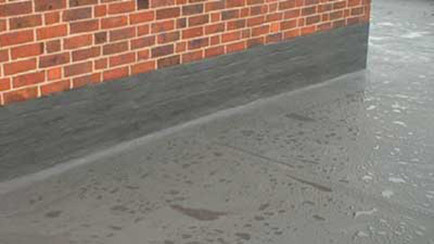 ParaFlex FD is also used for waterproofing junctions and roof openings such as ventilation and pipe openings, supports and structures, lighting domes and chimneys,balcony doors and windows, and for a variety of applications which are very costly to seal by conventional sealing methods or cannot be sealed at all. With the correct primers, ParaFlex FD adheres to almost any substrate and the attachments are made permanently waterproof. Combination with most bitumen and plastic roof sealing sheeting is also excellent. The material basis of ParaFlex FD is unsaturated polyester elastomer with a polyester fabric reinforcement that determines the breaking strength and elongation at break and provides for even layer thickness. 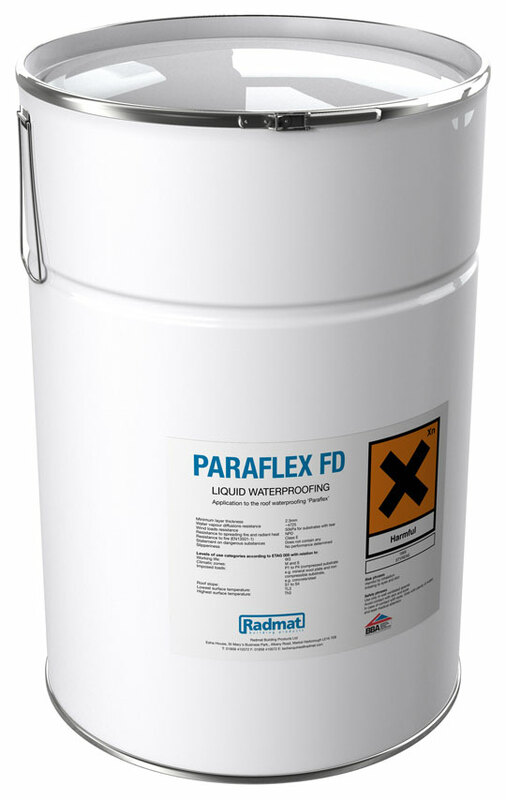 ParaFlex FD is a liquid applied waterproofing system that must be installed according to guidelines given by Radmat Building Products Ltd. Rolls of polyester reinforcement are overlapped by 50mm. All other component material overlaps are determined by application but should not be less than 100mm.